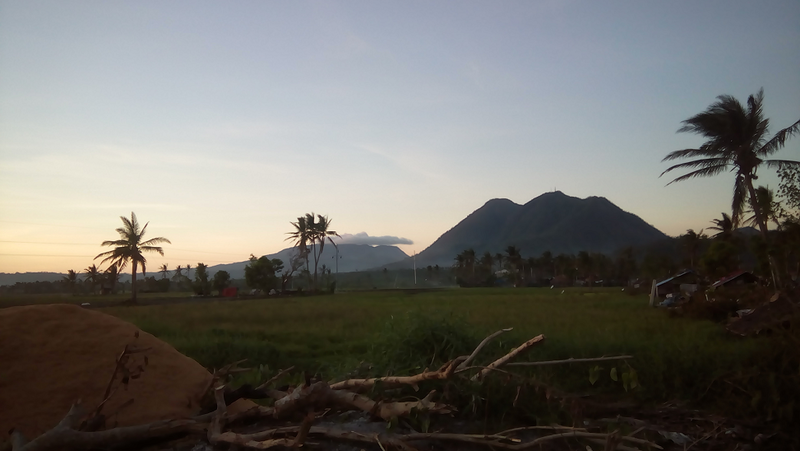 When I decided to write about Irosin, the town where I was born in the Sorsogon province, I realized I knew so little about it and there's nothing much stories that I can find online. In my previous post, I shared about the history of Irosin. Being a landlock place, Irosin is one of the towns in the Philippines where humans settled very late - only til 18th century. This used to be a vast expance of forests where wild animals lived! It was first called Hin - ay, then San Miguel during Spanish period and finally Irosin. Irosin is geographically located in the middle of other towns so it is often called as a gateway. We don't have a beautiful beach like the Paguruiran in Bacon, stunning old heritage house like the Casa Feliz in Juban or a historical church like the one in Bacon. What we have are mountains and lots of rice fields. Irosin is even called the rice granary of the whole province of Sorsogon because the majority of rice is produced in our town. Though I doubt it will remain as is since more plantations of rice in Irosin have been converted to buildings, houses and roads. The truth is, farming isn't seen as a profession but a sign that it is a lower state of life. If you're a farmer, most of the time you didn't finished college so you don't have a lot of choices to get a high - paying job. The average age of a Filipino farmer today is 52 years old. His or her children aren't keen to be a farmer someday because here in the country, this job is only to the poor. Time will come, this country will have less and less farmers. It is going to be a serious matter since we Filipinos eat rice three times a day. Going back to Irosin, my hometown is a quaint and laid - back place. It is typical place in a province but it has all the basic necessities of today - electricity, water, food and Internet. In terms of tourism, there's nothing much extraordinaire to see in that can rival those known world - class. What you can experience in Irosin is the life of being a provenciana or provenciano - a local term of someone living far from the city who is sometimes a bit ignorant of the many convenience of a city rat but she/he is more than happy and contented. St Michael Archangel Parish or Irosin Hilltop Church - This is where my parents got married, me and all of my siblings were baptized here. This is also the place where we had a ceremonial gathering before my late dad was put into final rest. This church (70+ steps to reach the church) contains a lot of memories that I can't recall one by one. When I was a student in Gallanosa National High School, I was a choir member then so almost every 5pm, we celebrate mass here. Far left side, there's a man - made smaller hill called Little Baguio that gives you a chill when you reach the top. Since it is practically the highest point with , you'll get a panoramic view of the surroundings and of course the Bulusan Volcano. 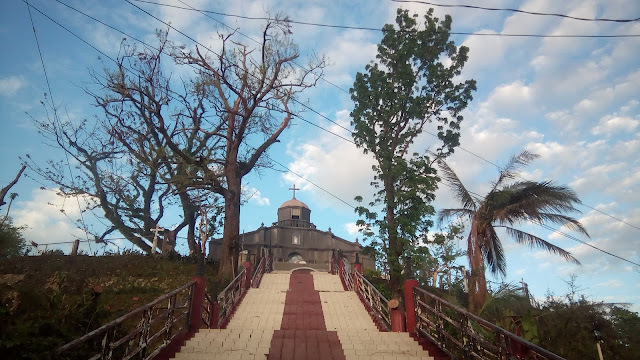 In this hill, you'll also find the parish convent where the assigned Catholic priests reside and Veritas College of Irosin. This is the first and only college school in Irosin founded in 1985 that offers a four - year old degree. I worked here for 3 months right after I graduated inside the Registrar's office. The Municipal Hall of Irosin is where the town's government employees and current politicians who won from the election including the Mayor goes to work. I did my summer job here in one of the offices. Also located here is the Irosin Public Library where I would always frequent when Internet is not prevalent yet. I would devour their newspapers daily. 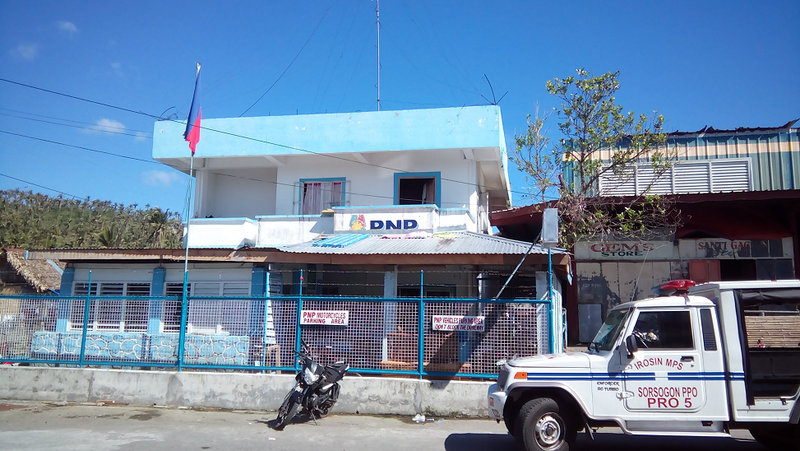 There is a small prison cell allotted here as a temporary shelter to locals who committed small crimes or waiting for order to get transferred to the one in Sorsogon city. Right I come there to get news, not really for the books. It is only located just a few minutes after you walk down from Irosin's hilltop Church. 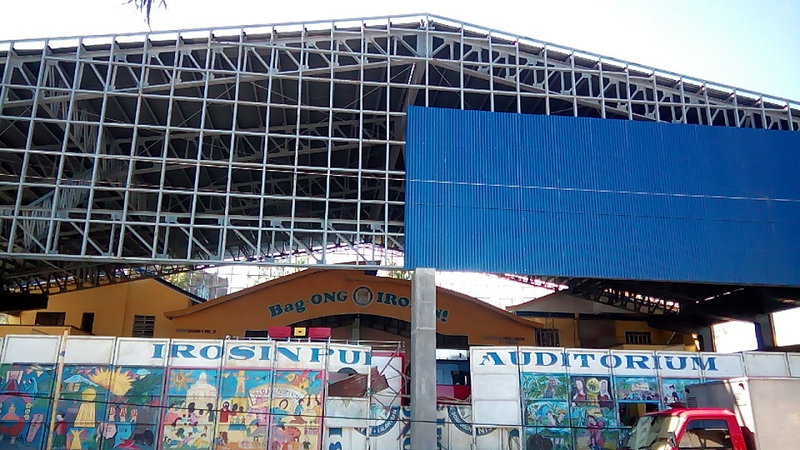 In front of Irosin Municipal Hall, you will find the Irosin Auditorium. This is where public events are held. It gets so busy especially during fiesta celebration every end of September to honor the town's patron saint, St Michael the Archangel and a day of celebrating the Paray Festival - street parade of students mimicking the life of a rice farmer through dance. 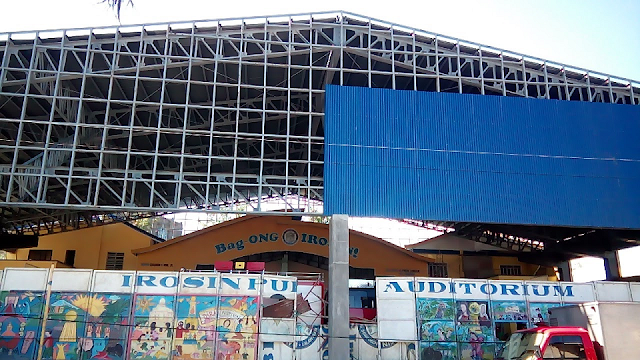 The current look of the auditorium in Irosin actually depends on the current Mayor's propaganda. Just a block away from Irosin Auditorium is a small church owned by a wealthy local, the St Martin De Porres Chapel. 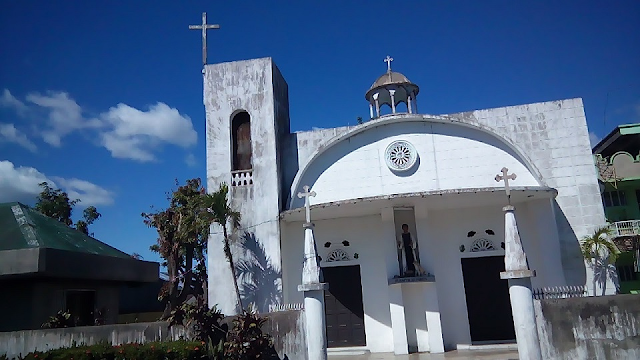 During Flores de Mayo, it is a procession held in honor of the Virgin Mary every May, usually they stopover to pray here when the St Michael Archangel Church is closed. See that statue in the middle, many children and some locals say that it moves very discreetly when you try to watch it long enough. Even me, when I was younger joining flores de mayo's, I also 'seen' him move his eyes! I am not sure whether I am tired enough at that time or I am hallucinating. Even my sisters also said that they encountered the same. Left side with green roof is where the Parish Eucharistic adoration room is located. I used to pray there whenever I have free time. 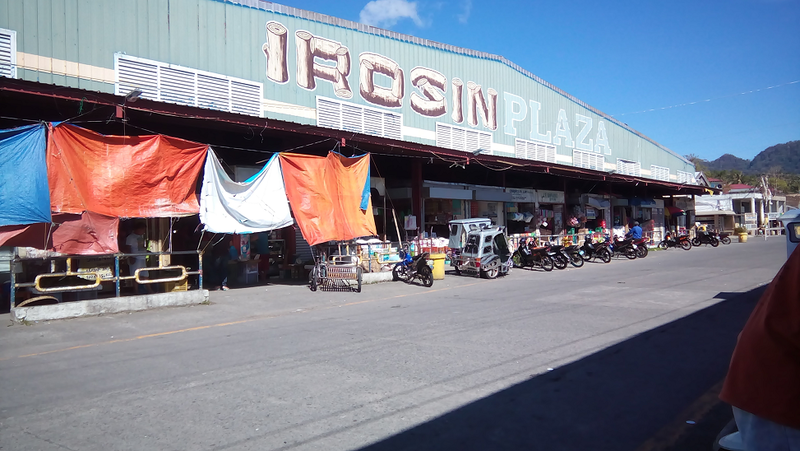 Irosin Public Plaza is the town's biggest market where you can find the most number of stores to buy your grocery items, dress, fish et cetera. It has been destroyed by fire when I was younger. Since this is most of the Irosanon's buy their stuff, I usually brush shoulders unexpectedly old friends and old classmates whenever I come here. Irosin PNP Headquarter is one of the newest buildings constructed at the time that I don't live anymore. This one stands out being a place where the local police work, just beside the Irosin Public Plaza. Irosin Central School is the only public school. You see the irony of education in Irosin: most of the brainy students choose the public school over private institutions because they know that the town's best teachers do work in the government - the salary is much higher. I studied here decades ago from grade one to six, there was no gate then so anyone can come inside. When I was the only child of my parents, we used to live here inside temporarily but we had to move because there spot where we put our own nipa hut is enchanted. We hear a lot of creepy unexplainable noises and I even saw a monster when I was a child. I'm not kidding, ask my mom. I have not seen Gallanosa National High School for so many years so I don't have a photo of it and it is quite farther from the centro of Irosin. 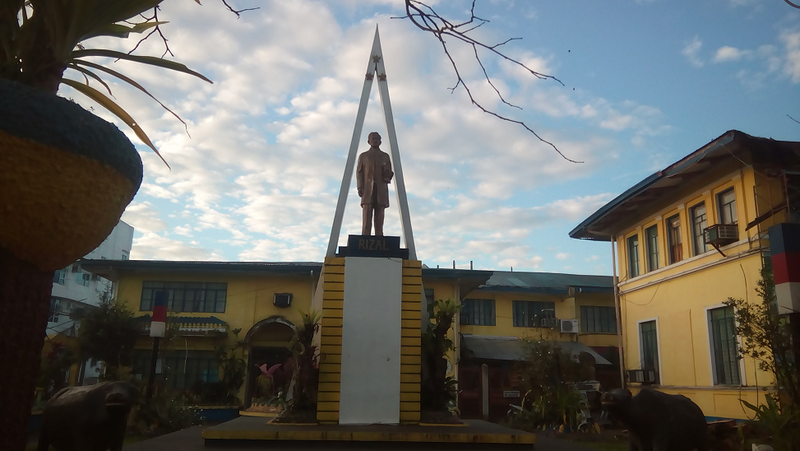 This is where I spent four years of my high school life located along San Pedro. 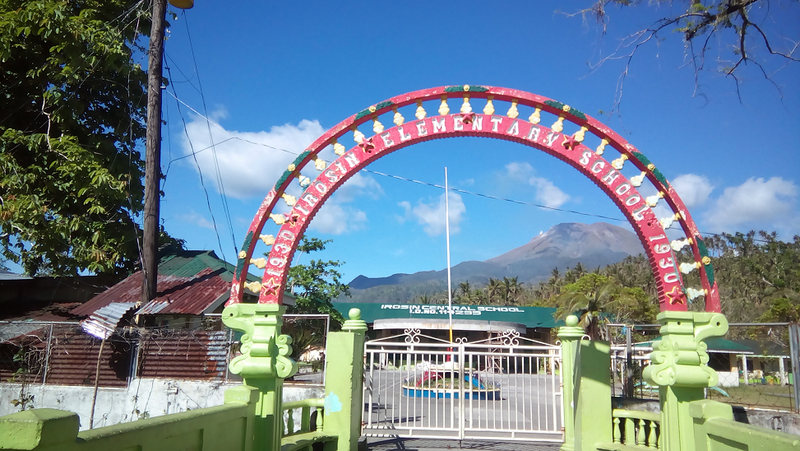 Other places to check out is the San Benon Hot Spring famous for its warm therapeutic waters coming from the Mount Bulusan, Irosin Valley View in Buenavista for top view of seeing rice fields and passing vehicles and Irosin Eco - Park in Patag which is a dumpsite turned to a park. I will update this soon to collect a list of accommodations in Irosin.